Hand painted furniture is specialized motif and theme to harmonized the interior design, decorating the furniture with the accents of painted details will unified to a well decorated interior. It gives classic attention, the antiquity gives its vanity and the uniqueness of a piece of furniture. A floral pattern adds color and interest to wood furniture. 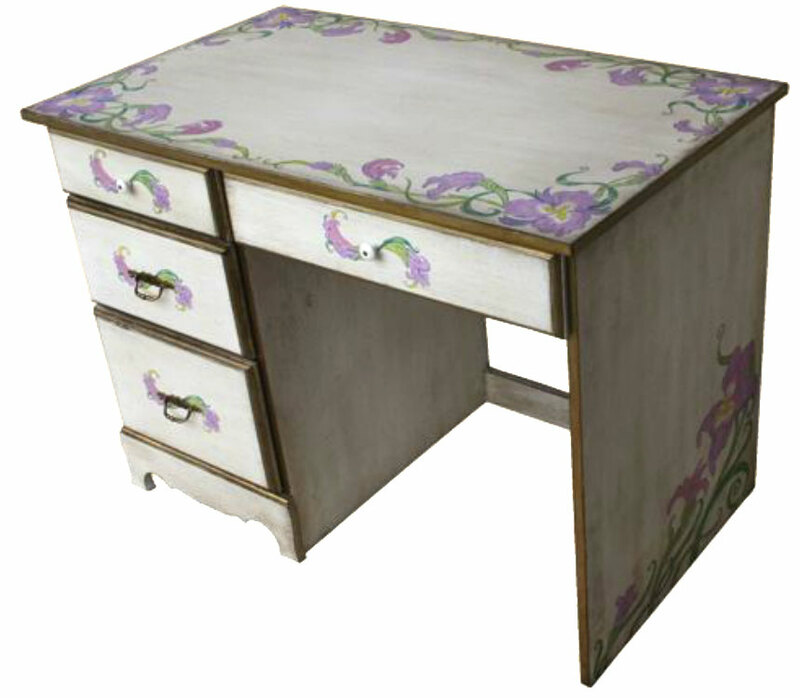 Exquisite hand painted office table, graceful with floral painting, for a vivid color effects, painting requires some extra attention considering the lasting durability, using an oil paint will give its toughness.